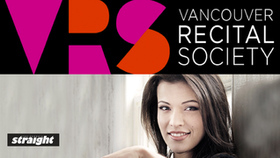 Praised as "superbly subtle and virtuosic" (The Arts Desk) and "an amazingly accomplished artist" (Classical Source), Ksenija Sidorova is the leading ambassador for the accordion. In 2009 Ksenija made her debut at London's Wigmore Hall and appeared in the Park Lane Group Young Artists Showcase prompting The Times to single her out as"one of the real finds of the series". In May 2012 she became the first International Award winner of the Bryn Terfel Foundation, and this year appears at the Royal Albert Hall as part of his 50th birthday celebrations alongside Sting. A recipient of both the Philharmonia Orchestra's Martin Musical Scholarship and Friends of the Philharmonia Award, as well as the Worshipful Company of Musicians Silver Medal, Ksenija has just been appointed a Junge Wilde Artist by the Konzerthaus Dortmund. Ksenija regularly collaborates with Miloš Karadaglić, Juan Diego Flórez, Nicola Benedetti, Thomas Gould and Joseph Calleja. 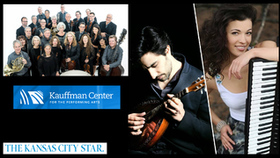 She works extensively with Avi Avital who, along with Itamar Doari, comprise the trio for the "Between Worlds" project which this year sees performances at Shakespeare's Globe, throughout Germany and on a substantial US tour (including dates in Boston, Washington and New York) in spring 2016. She has also appeared on Arte's "Stars von Morgen" with Rolando Villazón. The Latvian accordionist marks her Deutsche Grammophon debut with an album driven by her identification with Bizet's famously free-spirited femme fatale. Ksenija's Carmen gives new life to some of the most popular of all classical melodies, presented here in seductively fresh arrangements. She describes the character of Carmen as, above all, "a projection of the heart's most intimate desires". In response, her album, influenced by Latin, Asian, European and North American musical styles, offers an intoxicating mix of tone colors and pulsating rhythms. 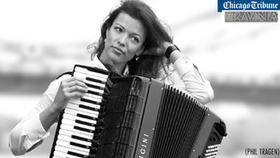 Ksenija Sidorova receives the ECHO KLASSIK Award for Instrumentalist (Accordion). The ECHO KLASSIK trophies will be handed out on Sunday, 29 October 2017 during a gala event in the Elbphilharmonie Concert Hall in Hamburg. All of the artists receiving an ECHO KLASSIK this year have made outstanding contributions to Classical Music in the 2016/17 music year. Their performances have brought audiences closer to numerous works of traditional classical music, but also to so-called New Classics. 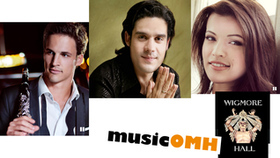 Whether its brilliant solo artists, collaborating ensembles, global superstars or exciting young newcomers – each of these musicians has helped to foster the extraordinary diversity of classical music and ensured that it continues to reach and inspire people of all ages and social backgrounds on all possible distribution channels. 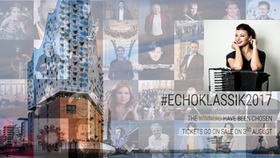 The ECHO KLASSIK Award ceremony will be held on 29th October in the Elbphilharmonie concert hall. The German public TV channel ZDF will broadcast the evening starting at 10 pm. Once again this year, popular television presenter Thomas Gottschalk will host the ECHO KLASSIK, marking the fourth time overall he acts as master of ceremonies for the event. The names of those award winners who will perform live that evening will be announced shortly.